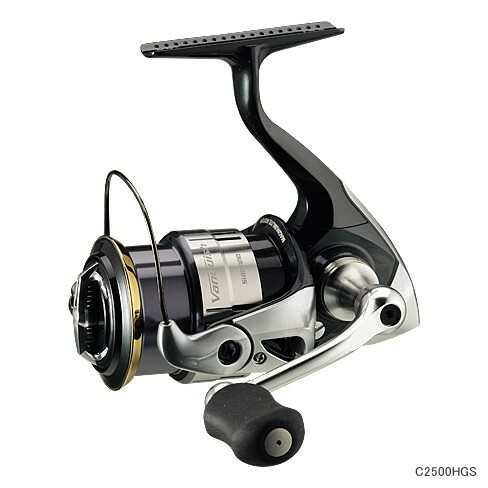 Shimano finally released New Shimano Forcemaster 2000MK this month. They will be able to release it before Christmas!! 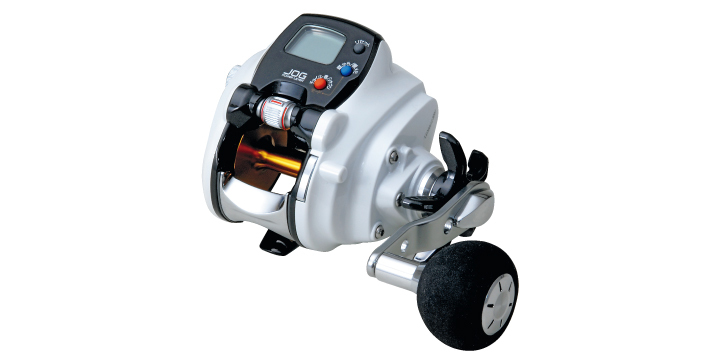 Now you can purchase this latest brand new electric reel from our store! 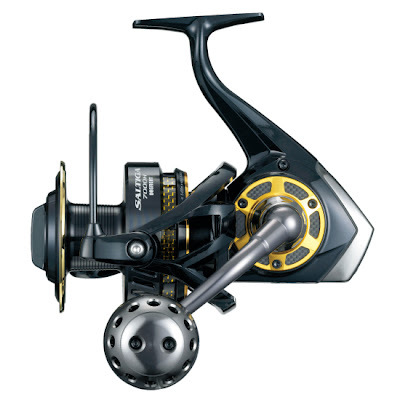 Daiwa Saltiga's biggest model released!!! Engough line capacity of PE-8x 350m for big fight! Shimano annaounced 3rd of December that they will releas new electric reel on December. 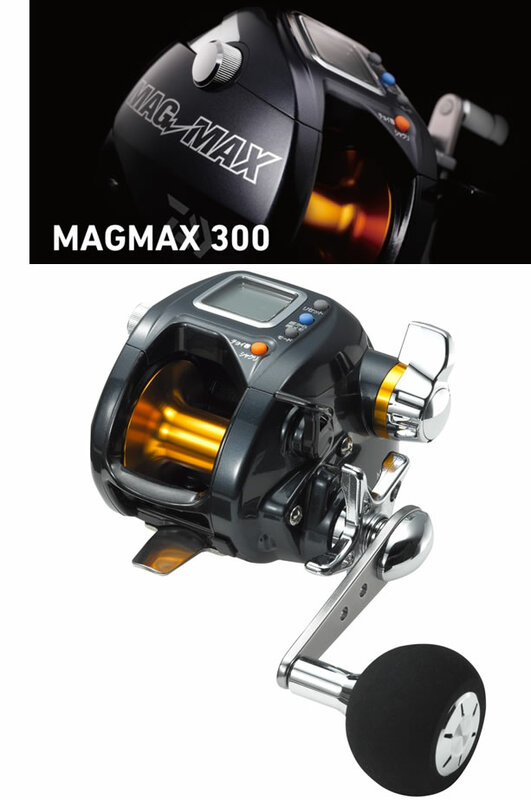 They will release Shimano Forcemaster 2000MK which almost same model as Shimano ForceMaster 3000MK. Shimano ForceMaster 2000 MK is cool desighned electric reel which has big display. Compact but powerful with MUTEKI motor, and you can enjoy exciting sound with e-exciting drag sound system. Fishing Show Osaka will be held at Intex Osaka on Feb 1st to 3rd 2013. We tackle Umi will go and check latest fishing products. 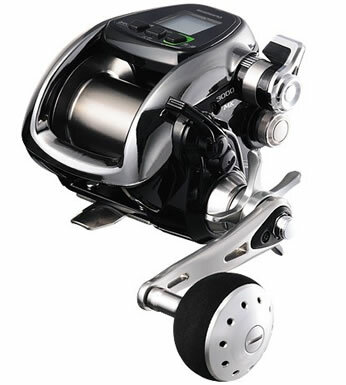 Daiwa released new electric reel end of September 2012. New Daiwa's Ultimate basic electric reel. Shimano Forcemaster 2000MK electric reel will be release! 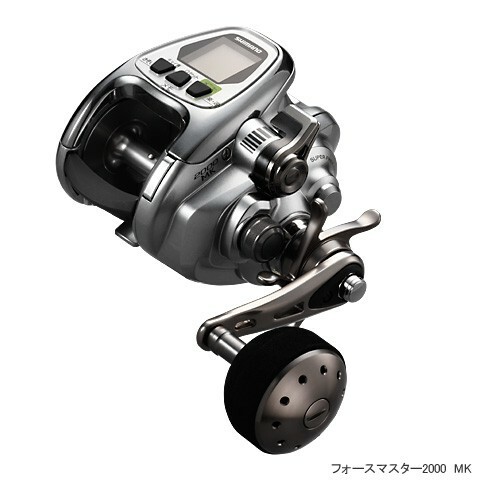 According to Shimano Japan, they will release Shimano Forcemaster 2000MK soon. They will release before Fishing Show Osaka 2012. Details is unknown yet, but will tell you as soon as possible! Delicious Fish freshwater eel "Unagi"
In Japan,it is summer season! It is Very Very hot! this hot and hard season. As you know, we eat many kinds of fish. And we sometimes eat eel. 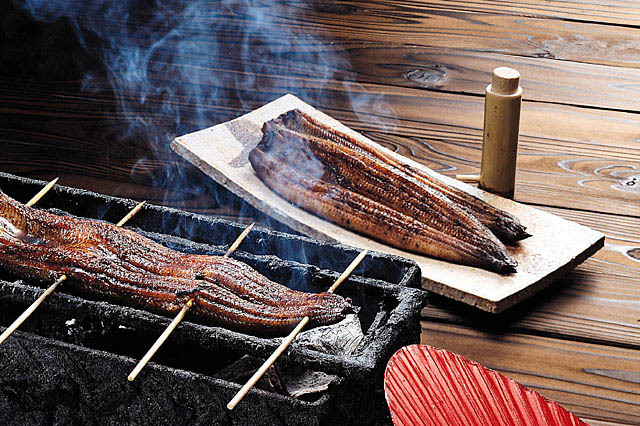 Eel is well known as energy food in Japan. We eat eel with Teriyaki taste with rice. I recommend you to eat Kabayaki than sushi! Eel's price is increasing at very high speed. Many Eeel's restaurant increase "Kabayaki price"
we will start "new" newsletter. 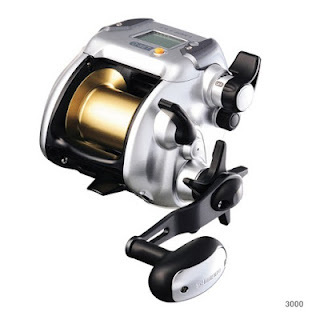 "USED(second hand) FISHING REELS "
please go to below URL and register the newsletter. 2012 new products will be released this month. TackleUmi will be ready to sell them with good price. Please wait for our updated news for new products!! Shimano.inc is located near our store!!! 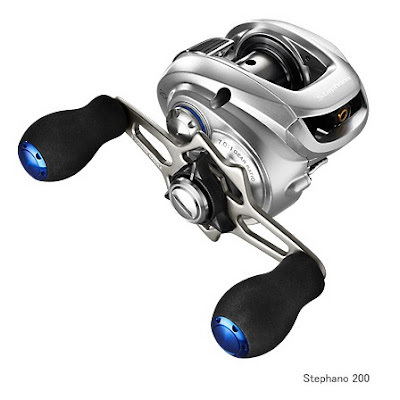 SHIMANO Stephano 200 / 201 new 2012 July is available! "SHIMANO Stephano 200 / 201" in this July. Super light 140g ! The lightest saltwater bait reel in this class! Gear Ratio 7.0 & Max winding 70cm ! It is available in our shopping site. 145g The lightest bassbait reel of Shimano! 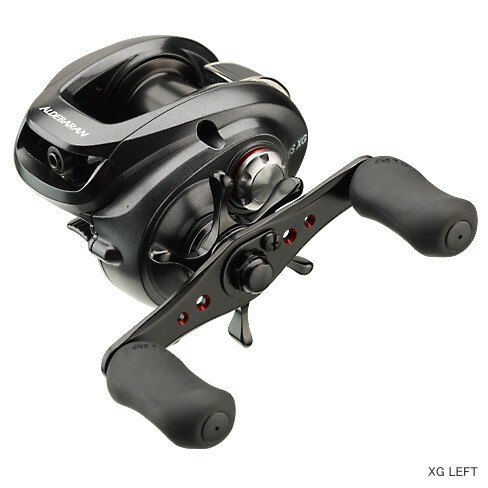 Shimano will release new bass bait reel on Aug. The price will be around USD 450.00.
so stardrag and handle come close to the body. you can purchase from our site. Daiwa T3 air will be released in this summer. 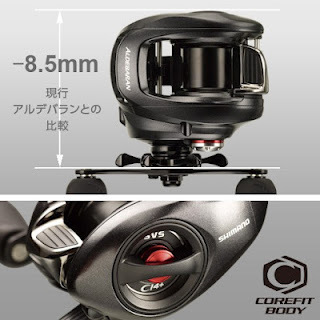 Yesterday, Daiwa list Daiwa T3 Air's price on their web page. According to this page, all models are same price at JPY58,000. It is not so expensive than expected.... how do you think? But it has not been released yet....It is already summer!! Please wait for next information! 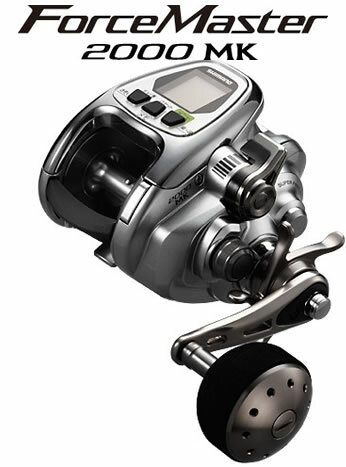 Shimano inform the details of Shimano ForceMaster 9000. 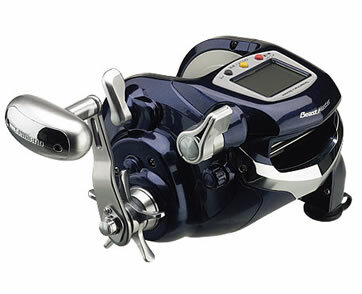 More powerful than Shimano denroumaru 4000 beast master! Very smooth with 4 set of carbon cross washer! This will be released on the market later than biginning of August. Of course, We will prepair English manual for our customer as soon as possible! 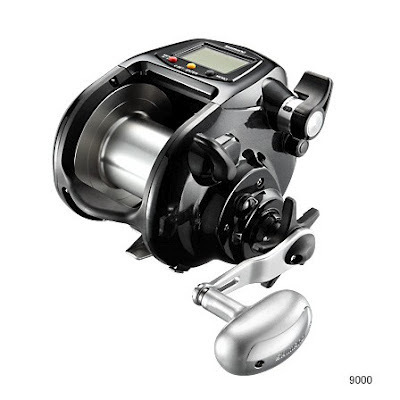 NEW Shimano ForceManster 9000 on July. MAX Rewind power : 72kg!! The powerful and compact model will be good for deep fishing. Not big as Shimano Dendoumaru Beastmaster 9000, and the price will be reasonable. 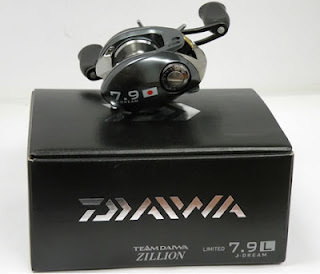 The pec of this model is very similar to Daiwa Tanacon Bull 1000 which is very popular electric reels amang our cusmters. So, we are very exited for this new model, they will like this model. The price will be similar too. Of course, we will make English manual as soon as possible!! We will let you know details soon on this blog! 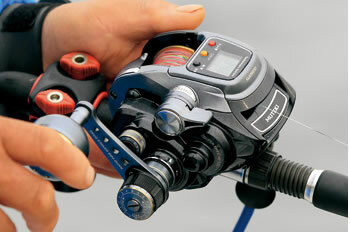 is our most popular item sold in TackleUmi electric reel store. As This is Japanse domestic model, there was no English operation manual until now. We prepared easy manual for control panel and display, but it was not enough for our customers to understand many excellent functions which Dendoumaru 9000 beast master has. So, we trasnlated almost whole pages of Japanse manual to English this time!! 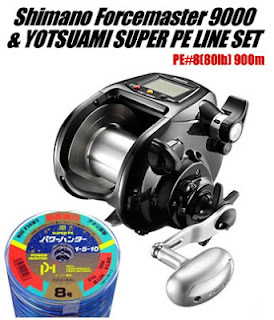 You can get very poweful Shimano Dendoumaru 9000 beast master with good price with ENGLISH MANUAL only from TackleUmi Electric reel store !! 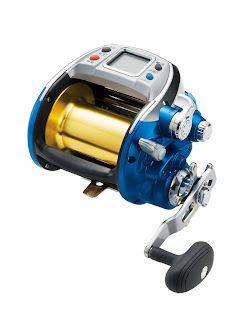 Shimano released Shimano Forcemaster 1000MK HD electric reel. I think this is the most remarkable reel you should try. It has New technology called "Rapid Fire Drag" that Forward & Reverse of Handle, you can up/down the drag force quickly. This is instead of previous star drag. So, you can only use one hand to operate this move. It has also almost samee power as dendoumaru3000 class , but the size is compact and very cool design. It use MUTEKI motor which shows enough power for fighting with big fish. Please check out our web site!!! 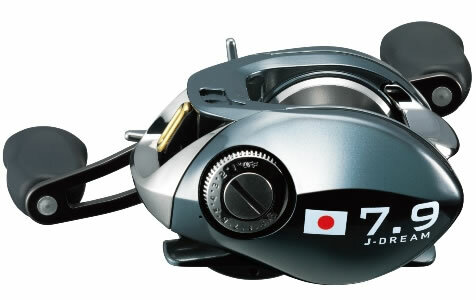 Electric reels we sell on our shop are all Japan domestic mode. It means display and owners manual is in Japanese. However, Our customers are all foreigners and they do not understand Japanese. Some of items have English manual as there is foreign model, but most of them do not have it. So, we send practical English manual which most of function are same and users can understand usage. as this model has only one button while all other Shimano's electric reel has 3-4 buttons. So, this time, TackelUmi translate Shimano Premio3000 owners manual by ourselves and send to our customer who dose not understand Japanese. Do not worry, If there is no English manual for new release model! We TackleUmi try our best to make our original English manual for you! is now on available on our electric reel store. One botton, Easy operation but powerful electric reel. 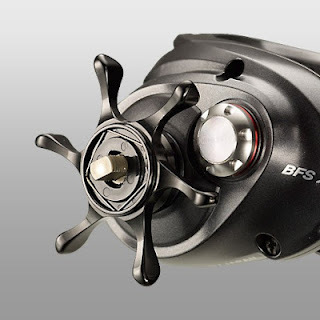 This is now the cheapest electric reel of Shimano in our store. We prepared English transrated manual for you! You can get this English manual only from us Tackleumi!! Try Japanese Superior technology with this reel!! Get it from our store - TackleUmi ! Pagani P200 has adopted a tight spool by Naropira structured. Moving distance of the level winder will be over a short stroke, release the line faster, faster initial motion of the spool was. Therefore, it is also faster rotation of the spool itself, can be cast without any stress to the lightweight lure, and then to Kano, a long cast addition. In addition, built by quattro four-axis control servo brake, brake setting can be fine. Reduction has let to the limit in the cast of backlash against the wind. 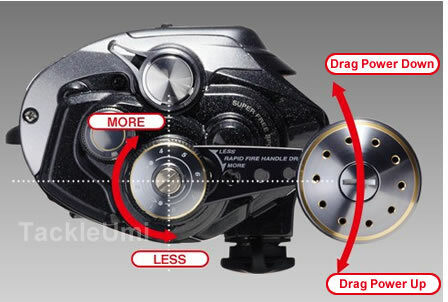 In addition, the Infinite anti-reverse mechanism equipped with, and finished in the top water reel not only optimal plex King, also griffon and shad fishing plug system. compact rotor Shimano's lightest & compact rotor Debut!! Light Magnum rotor succeeded in significant weight and compactness compared to conventional aluminum rotor and carbon resin and the latest 3D design by adopting a "CI4 +" new carbon material. In addition, this lighter has led to a significant improvement in starting torque and inertia. This lighter reel itself is, of course, the reduction of starting torque and inertia that is up significantly and directly feel the rotation sensitivity. Vanquish and the concept of light weight, however, is not only light reel. 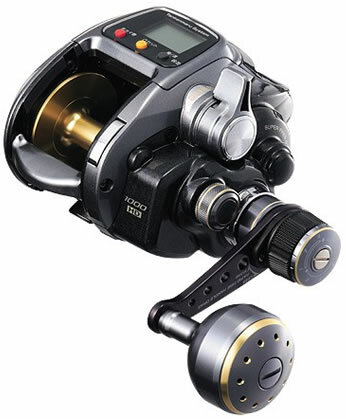 Strength, durability and solid feel of the reel is a basic performance has secured without redeem lighter. 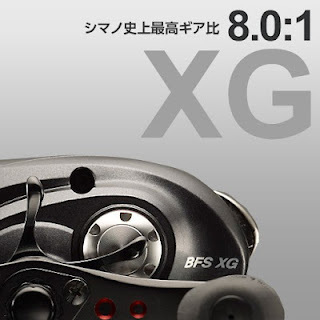 That gift was adopted Shimano's most prominent state-of-the-art metallic material [Mg super body. With a reduced deflection and distortion of the body, it is unrelated to performance due to the rotation even in the state such as the fight with Big Fish took an unexpected, high load. It also boasts the strength of the foot. Have a high reputation gear system is adopted at the core, to Stella [X-SHIP], which are protected by a lightweight metal body with rugged reliable. 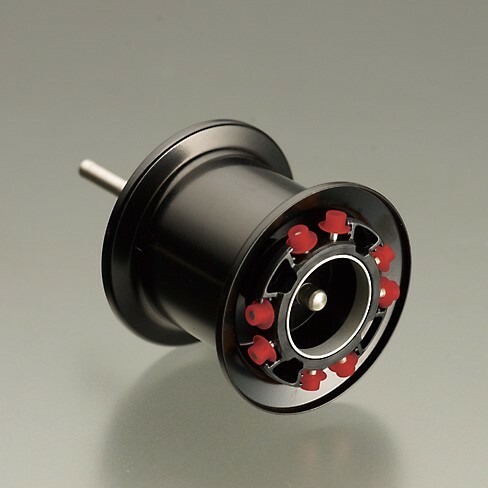 Vanquish [AR-C Light Spool] is specially designed for the pursuit of light weight. Trouble-less performance, long distance performance is intact, cut into thin by up to review and limit the thickness of the parts used, further 4g lighter than 10 Stella 2500S spool spool was the lightest so far. Shimano's lightest ever update on a par with lightweight plastic spool while using a forged aluminum material. 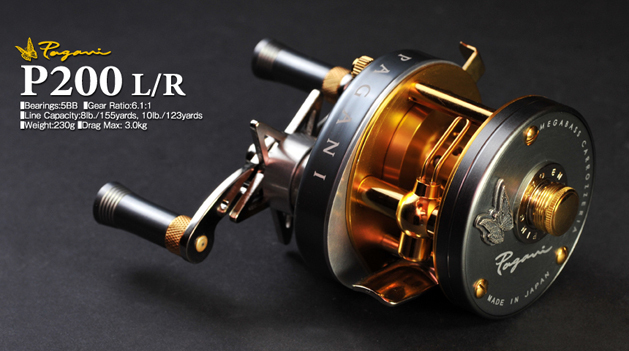 If you are intersted in this reel, please contact us for the price!! TEAM DAIWA ZILLION LIMITED J DREAM7.9 2012 Limited model now available!! Sorry for keep you waiting! Now we are ready to shipout to you!!! so, please hurry to get it before it ends!! "X-SHIP", and also with the NEW Biomaster soon! Rotation on a par with the flagship performance was achieved at an affordable price. the class is very rich specifications. 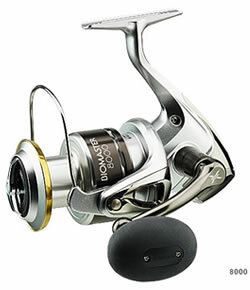 Daiwa will release Daiwa LEOBRITZ300J the new electric reel end of may 2012. More comfortable electric reel. More active, more speedily. JOG power lever was born to pursue the "I want to use." Leo Blitz UP mobility in the newborn was reborn as a lightweight and low profile BODY & Hi Power. Fishing boat is more comfortable! Placed in the center the power lever was attached to a conventional side handle. The shape adopted jog thumb operation is possible. Reel of all operation and enables the shelf to take one hand, winding up clutch ON, OFF from power by the jog lever, you can enjoy to the active offshore fishing. Eliminating the effectiveness of the drag first bite, the smoothness achieved without stable (village) also stick tighten. To be able to cope with in the vegetable, while maintaining the maximum 8kg drag force, support a wide range of Harris Fine red snapper fishing. Essential features of the concept on hand. Because you can ease off the clutch just by pressing lightly with your thumb while holding the rod, and ON with the thumb as well as the clutch, can be Tegaeshi early. Ultimate simple and easy operation because it has only ONE button!!! and ultra-basic performance of the full cost [PLEMIO3000]. is sufficient support to remove the need for a sudden big. Entry-level model equipped with the latest features [view hoisting electric load] [timer shelf] [Display speed drop yarn] [prevention function embedded winding mechanism, etc.] [SLS III study wound], and is more than enough feedback to the latest technology. AlphaTackle POLARIS iv 1000 is ARE NOW AVAILABLE IN THE STORE!! 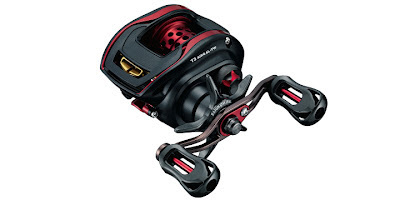 TackleUmi sell this powerful reel with special price! Check out our website and purchase it before you go fishing!